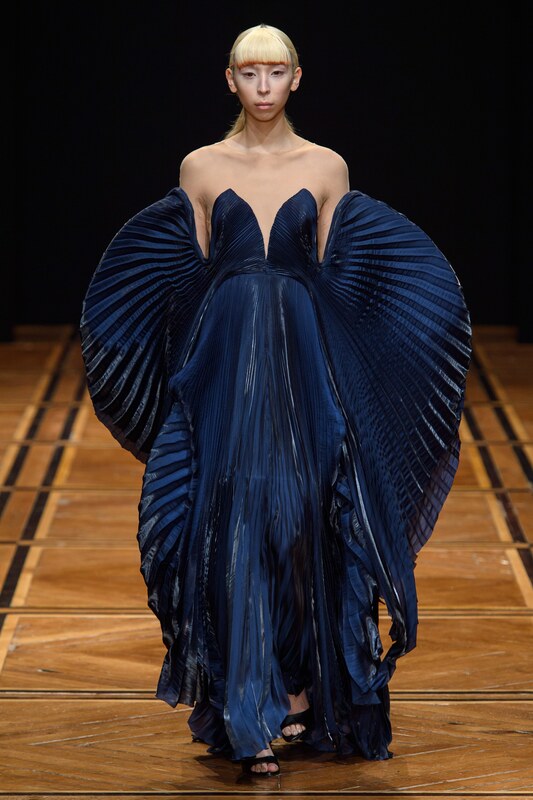 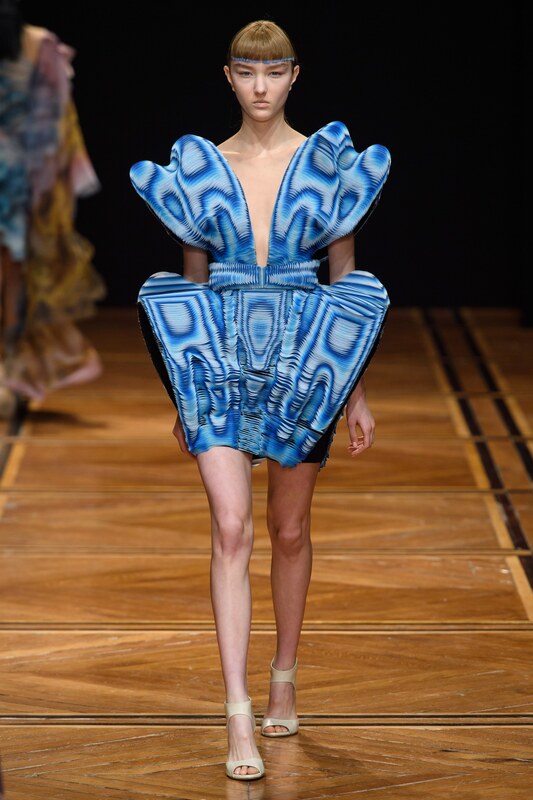 Designer collections are supposed to ‘stand out,’ and by this, we mean every detail on the runway from the set-up to the collection itself should be different from “the usual.” While Iris Van Herpen’s set design was nothing out of the ordinary, her Spring 2019 Couture Collection definitely was. 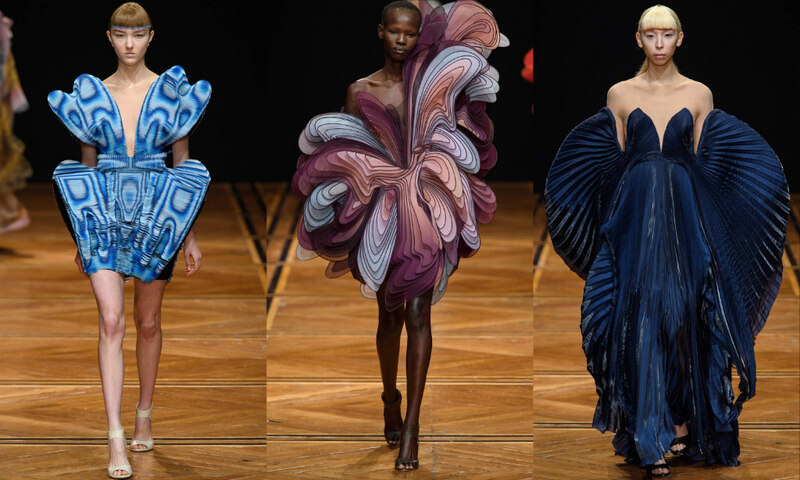 As the models rolled out, it became more and more obvious with every piece that the avant-garde designer, Iris Van Herpen, once again poured all her creative juices into her designs. 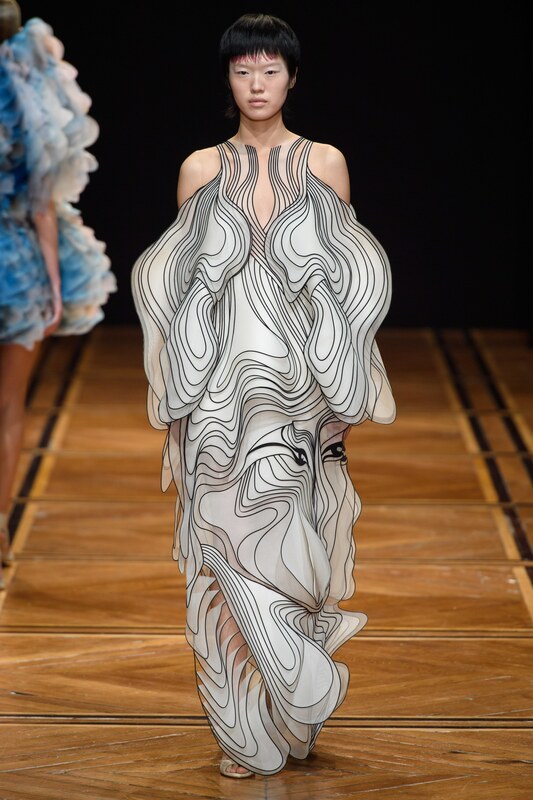 Soft patterning, silhouettes with hand pleated volumes which expressed a contrasting lightness yet were visibly filled with undulating layers and looked like they were engineered by hybrid-tech humans filled the Paris runway. 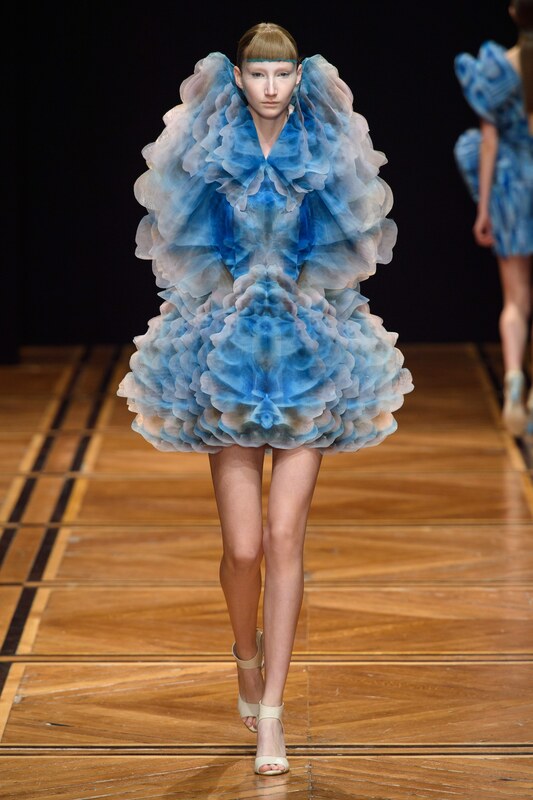 Iris Van Herpen set the bar high – her Picasso-esque collection that displayed cloud-like dresses in translucent organza, crystalline structures, warm bursts of colour, 3-D-printed face-contouring jewellery with historical, scientific, artistic and futuristic references expressed a much-needed evolution for the designer. 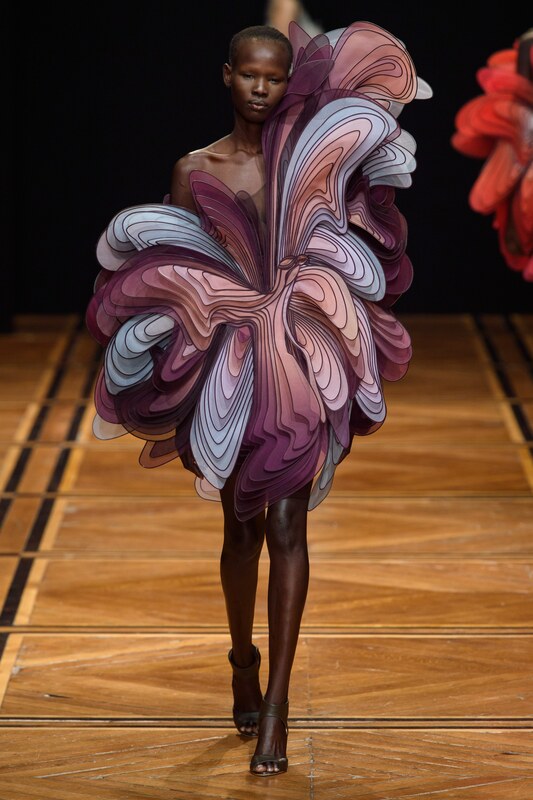 This collection is definitely a significant leap; the expressions and fascination with futuristic projections helped to create a graceful exploration of colour and form that left us in total awe.